A New York jury has found two former South American football officials guilty of taking bribes in exchange for media rights to international matches. The trial is the first in a series of verdicts in a US probe into FIFA, the football world governing body. "My answer is obviously we're disappointed. It's Christmas, you know?" 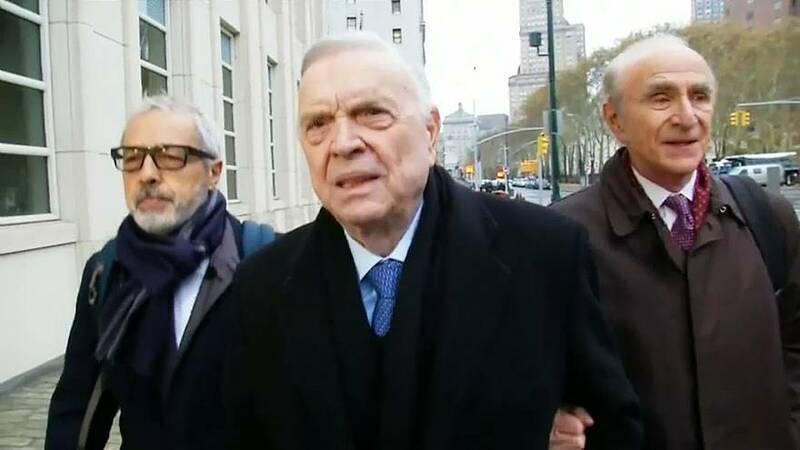 The two men convicted are Juan Angel Napout from Paraguay, the former head of South American governing body CONMEBOL, and Jose Maria Marin, former Brazilian soccer chief. Marin was found guilty of six counts, including racketeering conspiracy, wire fraud and money laundering conspiracy. The jury cleared him on the one count of money laundering conspiracy. A third man, former President of the Peruvian soccer federation Manuel Burga has not yet been convicted. He also stands accused of taking bribes. The judge said the jury will return on Thursday to deliberate. Napout's lawyer, Silvia Pinera-Vazquez, said he was disappointed with the verdict reached by the court. Prosecutors have charged 42 people and entities in the case, at least 24 of whom have pleaded guilty. A number of these gave evidence in the trial of Napout, Marin and Burga. There were suggestions made that corruption within the organisation went far beyond the three men on trial. Alejandro Burzaco, the former head of Argentine sports marketing company Torneos y Competencias, told jurors that he paid bribes to all three defendants to secure rights to matches including the Copa America and Copa Libertadores. Burzaco had previously pleaded guilty and agreed to cooperate with prosecutors. The prosecutions are the first in a series of charges being brought against FIFA by US Prosecutors. Allegations of corruption within the organisation have been rife. They include suggestions that Qatar bribed officials so they could host the 2020 World Cup. FIFA has repeatedly denied these allegations.